As the discussion begins over FOX’s “Drivers Only” broadcast of Saturday’s Pocono Green 250, I’m reminded about just how important the presentation of a race is as the racing itself. A race is, to put it lightly, a difficult thing to broadcast – particularly on television. The network is following multiple cars over hundreds of high-speed laps. The producers have to not only catch each important moment when it happens, but pick the right camera angle at the right time to best frame it. Inevitably, no matter how good they are, some of this information is lost. 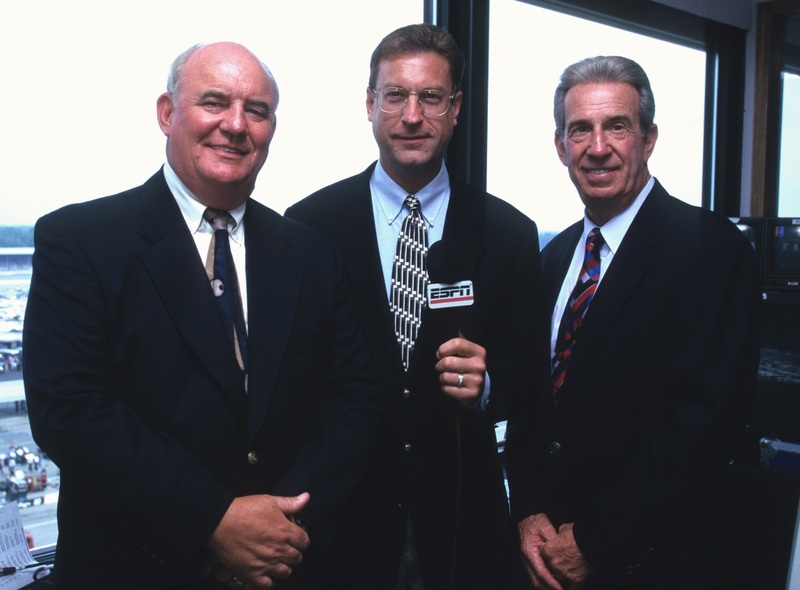 Whether a moment gets seen at all sometimes comes down to the awareness of the broadcasters themselves, both on pit road and, in particular, in the booth. Consider, for example, the finish of the 1979 Daytona 500. In the booth, Ken Squier, one of NASCAR’s newest Hall of Famers, gave one of his most famous calls of the last-lap wreck between Donnie Allison and Cale Yarborough. Just as importantly, Squier then had to quickly adjust to calling the finish between the new leaders. When he declared Richard Petty the new leader, the camera mistakenly caught the lapped machine of Buddy Arrington, a driver who was driving one of Petty’s old blue-and-red cars. Thinking on his feet, Squier quickly directed the cameras by saying “The leaders are in Turns Three and Four.” Fortunately, the direction came at the right time, and the finish between Petty and Darrell Waltrip was also caught on film. Too often, I believe, television broadcasts of races have become more reactive than proactive. It’s rare when someone in the booth catches something before the cameras, or draws their attention to something before it happens. Most often, a wreck is shown already in progress before the broadcasters react. Cars enter and exit the garage without hardly a mention. This seems to indicate the booth crew is looking at the screens in front of them rather than the track, giving them the same limited view as anyone watching at home with the online leaderboard pulled up. It’s made NASCAR’s television analysts practically useless, which is perhaps the reason FOX came up with this “Drivers Only” idea in the first place. Just as rare these days is the chemistry between those in the booth, particularly how well the three analysts play off each other and work as a team. Too often – whether on FOX, FS1, or NBC – the announcers miss an incident completely, shout over each other, or waste valuable air time trying to hype up the next segment or the next lap to keep fans watching. Other times, the tone shifts to disinterest, either through sheer exhaustion from building all that hype or because they have actually tuned-out. On top of it all, while the air is constantly filled with words, there somehow seems to be less and less information being conveyed. I personally find the Twitter feeds of on-track reporters like Jeff Gluck and Bob Pockrass much more informative than any FOX or NBC broadcast. More and more, bouncing back and forth between the TV and the computer feels like there are two completely different races happening. Whether this is the fault of the broadcasters, the producers, or any other particular group is up to debate. But it’s clear the results have frustrated fans. If not, it seems doubtful that the “Drivers Only” broadcast would have even been suggested. I don’t like to keep turning back the clock to a simpler time. I get it – things are different now. But at the same time, I don’t think that means we should all just keep our mouths shut and be happy with what we have. I think there’s still a lot that can be learned from the past, and that these lessons can fix mistakes. In my opinion, what we got in Saturday’s race was the closest we’ve had to Bob, Benny, and Ned in years. Yes, these drivers were new at this, and could do better if given the chance. Yes, they can’t obviously keep doing it since they’re all active drivers. And yes, they were all doing it under the guidance of the current broadcasters. But there was also a noticeable camaraderie among them from all of them being thrown into this situation together. They all supported each other and made it through – much as when ESPN put Bob and his crew in front of the camera for the first time in 1981. They didn’t overhype anything or throw a bunch of distractions in our face. They weren’t perfect, but they were genuine. It was “back to basics” broadcasting at its best. Maybe this is what we’ve been missing all these years, and what needs to happen going forward. And please, please get rid of Darrell Waltrip FIRST!! My God, that man gets on my nerves! He is not funny or witty as he seems to think he is. And don't even get me started on that saying he says as each race begins. I have to mute my sound to keep from hearing him say it and that is a damn shame. I'll be so glad when NBC takes over and we get a more professional broadcast. The worst thing of FOX coverage is the leaderboard. The funniest moment yesterday was when Clint Bowyer was trying to talk with Kyle Benjamin at the end of stage 1. Kevin Harvick is first rate as a commentator and moving on up as a play-by-play man. There's no chemistry, and it feels like they're trying to broadcast the Olympics - slow, steady and full of human interest stories rather than the competition. As wrong as the DW-FOX booth is, at least they're enthusiastic. NBC is just lost. My suggestion to everyone is turn off the TV sound and turn up PRN. It's a great experience when you mix in scanner audio & a couple extra cameras with NASCAR's on-line offerings.